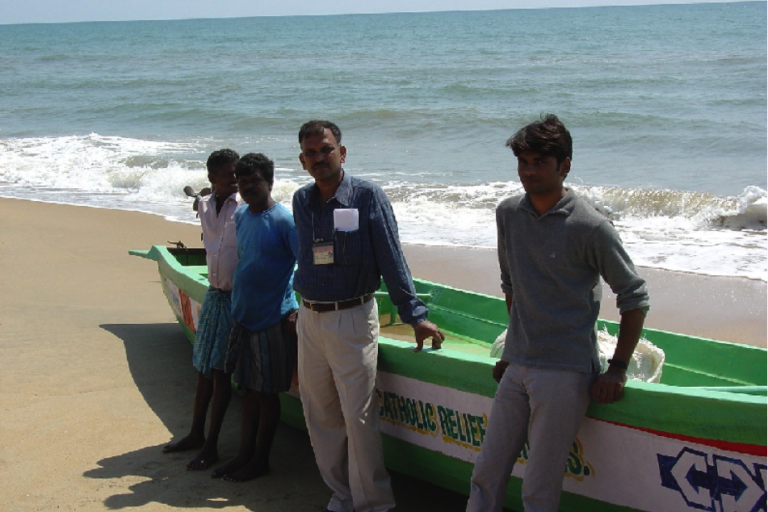 Studies in the coastal waters of Kalpakkam in Tamil Nadu, around India’s first indigenously built nuclear power station, aim to create baseline data and assess the operational impact of the nuclear facilities on environmental variables. The results of recent thermal pollution studies reveal that a very small area in the discharge location is highly impacted but the situation may change with the expansion of nuclear infrastructure, experts warn. The coastal monitoring programme should be continued at Kalpakkam without any breaks to keep tabs on possible adverse effects, experts said. Age-old adversaries to ships, barnacles and green mussels have been thriving comfortably in the coastal waters of Kalpakkam in Tamil Nadu, in the vicinity of India’s first indigenously built nuclear power station, overlooking the Bay of Bengal. These master clingers park themselves inside the facility’s cooling system, often impacting the station’s operations. They make up about 60 to 70 percent of the biofoulers at Kalpakkam coast in the vicinity of the Madras Atomic Power Station (MAPS), about 70 km south of Chennai. Accompanying them is a rich assemblage of marine life: 300 species of marine fish, 219 species of phytoplankton, 33 species of crabs and more, powering the food chain in the coast harbouring the nuclear hub, as documented in a book chapter on ecological studies in coastal waters of Kalpakkam. The book chapter is authored by K.K. Satpathy of the Indira Gandhi Centre for Atomic Research, Chennai and his colleagues from the University of Calcutta, Kolkata and Berhampur University. 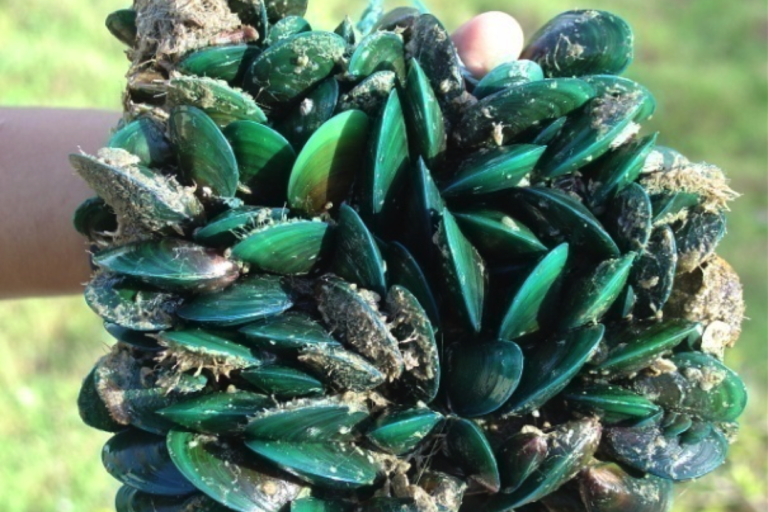 A cluster of green mussels at Kalpakkam coast. Photo by K.K. Satpathy. With two units each generating 220 MW of electricity, the nuclear power station has been in operation for over 30 years. At the same site, a much-delayed Prototype Fast Breeder Reactor (PFBR), another type of nuclear power generator, is poised to start functioning sometime this year. The existing MAPS facility uses seawater for cooling purposes drawn in through a nearly half a kilometre-long (468 metres) and 3.8-metre-wide tunnel built 53 metres below the seabed. The heated seawater is released into the coastal waters after the heat is extracted. Authors of the book chapter said despite being in action for more than three decades, the coastal ecosystem around the nuclear hub is so far “healthy” and “stable” in the face of thermal pollution (heated water discharge), chemical pollution and human-associated activities. “For now we can say the coastal ecology is healthy and the effect of the thermal discharge of the nuclear power plant is negligible on the coastal waters in Kalpakkam. 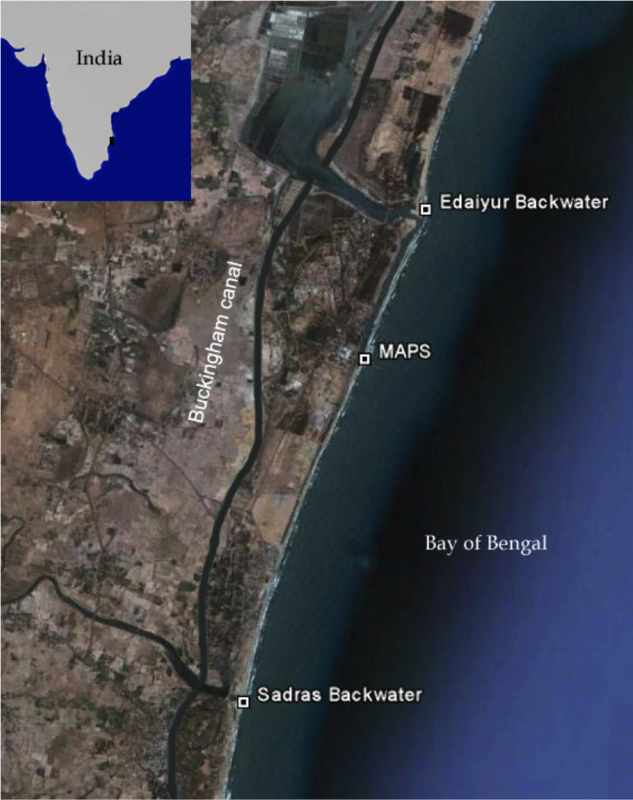 It is benign and comparable to any other healthy coastal ecosystem in India,” said Satpathy. Their assertions and cautions are based on decade-long scientific monitoring studies of the coastal ecology and related observations on Kalpakkam, documented in the book chapter. The studies have helped create baseline data for future investigations, in addition to offering a clearer picture of the environmental impacts of heated water discharge from the nuclear facility on marine ecology. “We have data on the assemblages of zooplanktons, phytoplanktons, biofoulers such as barnacles and mussels, crustaceans and marine fishes and more. It will help us compare the changes in the future,” explained Satpathy. “At present, we are using low dose chlorination to mitigate biofouling but at one time in the late 1980s they severely impacted the facility’s operations,” the scientist said. Setting up more desalination plants in and around the site may marginally increase the salinity in a localised manner, but the synergistic effect of the total the nuclear infrastructural growth could affect the ecology of the area. “To take care of any potential adverse impacts, coastal monitoring programme should be continued at Kalpakkam without any break,” said Satpathy. “Additionally, we must also take into account the anthropogenic changes that are already taking place,” he told Mongabay-India. The results of recent thermal pollution studies revealed that a very small area in the discharge location is highly impacted at Kalpakkam. Photo by K.K. Satpathy. “Small scale workshop units such as fabricating units of different kinds have come up along the coast and the residue ends up in the sea, as the sea is the ultimate sink for everything. The number of fishing boats associated with the growing number of fisherfolk has also gone up. So the load of plastics, heavy and toxic metals, biocides and other harmful products would also be a contributing factor,” Satpathy said. A sign of the “unpolluted characteristics of the coastal waters” is the unusual abundance of reef-associated fish in these waters: of the total marine fish species recorded, 45 percent are reef-associated. “Although coral reefs are absent in Kalpakkam, rocky patches north of the area could be the reason for the presence of reef fish. It is an indication of the unpolluted characteristics of these coastal waters despite the presence of the nuclear facility,” Satpathy emphasised. The results of recent thermal pollution studies reveal that a very small area in the discharge location is highly impacted, the book chapter states. “This area spans around 80 to 100 metres along the coast on either side of the discharge point, depending upon the direction of the coastal current. When the current direction is north, the impacted zone is on the northern side, when the current is towards the south the impacted zone is along the southern side,” he said. The documentation of a high diversity of marine crabs (33 species brachyuran crabs) offers another clue to coastal health. “Crab is a bottom-dweller, accumulates all pollutants continuously and is a good indicator of pollution at a specific site, unlike fish which move from place to place. Crab population (qualitative and quantitative) indicates coastal health,” he said. 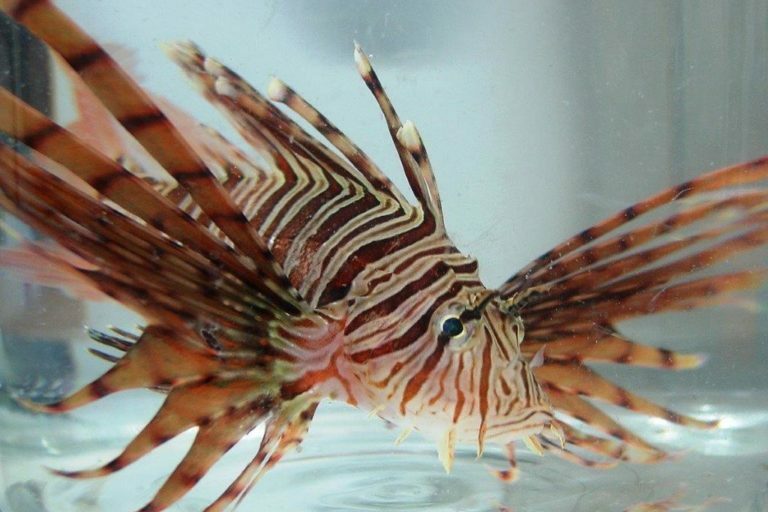 A reef-associated fish Russel’s lionfish (Pterois russelli) is observed in the coastal waters of Kalpakkam. Photo by N.P.I. Das. For example, a recent survey of the Bay of Bengal area revealed the presence of a minimum oxygen zone at shallow depth (less than 30 metres), a new finding implying a possible increase in organic content due to anthropogenic activity. “Algal bloom leads to the presence of one or two species of plankton or cyanobacteria in significant numbers (80 to 90 percent) in the water, unlike the mixed bag of 50 to 60 species which generally occur in normal condition,” Satpathy explained. “When this algal bloom dies, the decay process consumes oxygen in the water triggering mass fish deaths. Also, some of the bloom-forming species are toxic in nature resulting in the death of organisms including fish,” he said. Some documented algal blooms in Kalpakkam involve blue-green alga Trichodesmium erythraeum in 2007 and 2008 and a monospecies bloom of diatom Asterionellopsis glacialis in 2015. The 2004 tsunami that devastated Kalpakkam has also left its imprint. “Possibly, due to the deposition of silt in the coastal region from the off-shore region, leading to decrease in coastal depth, the turbulence in the coastal region appears to have gone up, triggering a rise in suspended-solid content,” informed Satpathy. Banner: Kalpakkam seashore. Photo by Apm.ceg/Wikimedia Commons.